Clean house within your reach! which originally were produced for British market. The highest quality available at a reasonable price. Buzzy – perfect cleanliness in your home! 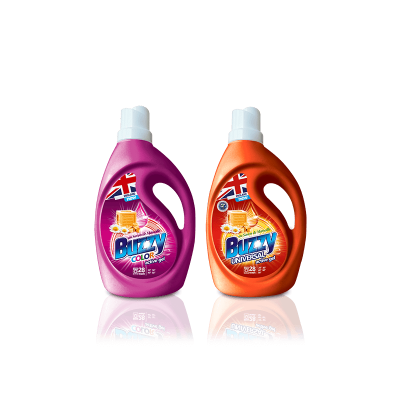 Buzzy is a line of professional cleaning products which originally were produced for British market. At this moment you can find in our offer following Buzzy washing products: washing powder and washing gel, but also cleaning agents such as cleaning wipes, cleaning foams and abrasive soap pads. Those products are guaranteed to be the highest quality. 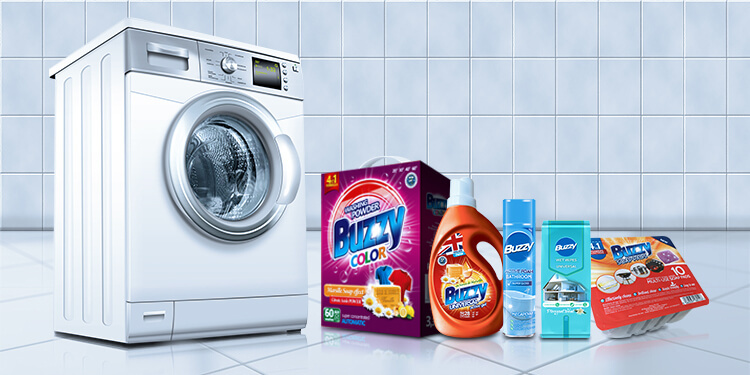 Buzzy washing products can handle even the toughest stains at low temperatures and short washing cycles. Products coming from this line contain Marseille soap, which is fully natural and made of the highest quality ingredients. This soap makes Buzzy washing products available for use to people with very sensitive skin. Buzzy washing powders and gels are highly concentrated – only 55 grams of powder is needed for 1 wash! Washing products are easily dissolved in water leaving no stains nor damp patches. They also make fabric smell fresh for a long time. 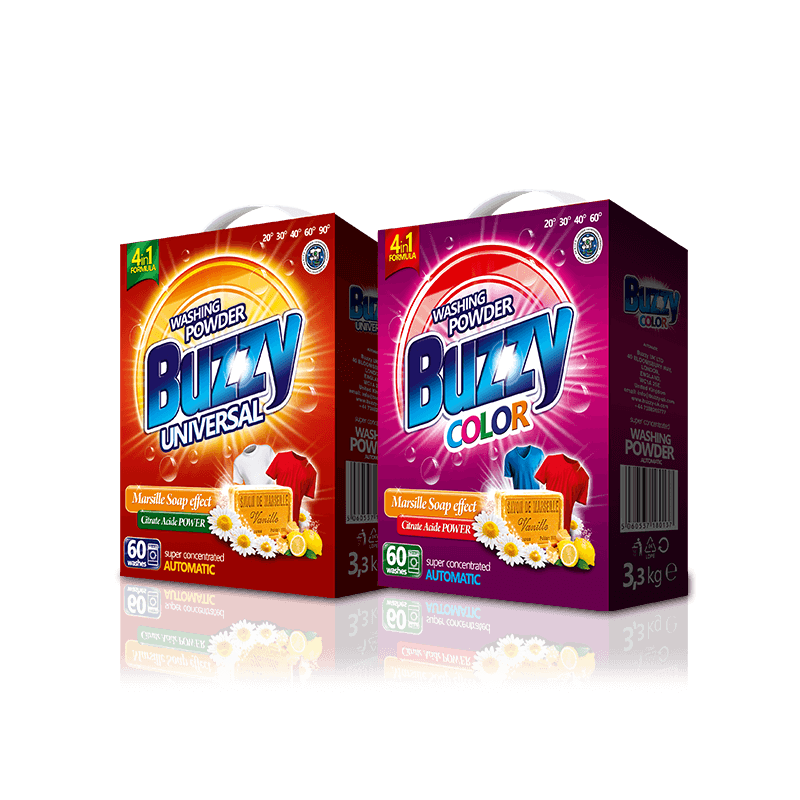 Buzzy cleaning products are above all innovative and intuitive. Formula of foams or cleaning wipes makes cleaning more faster and easier than ever. The variety of products (7 types of different foams and 5 kinds of cleaning wipes) makes them even more ideal solution for most stubborn stains (in offer you can find products dedicated for cleaning the kitchen, the bathroom and furniture). Recently, to the standard offer was added special abrasive soap pad, which is perfect for both cleaning and polishing many different surfaces. 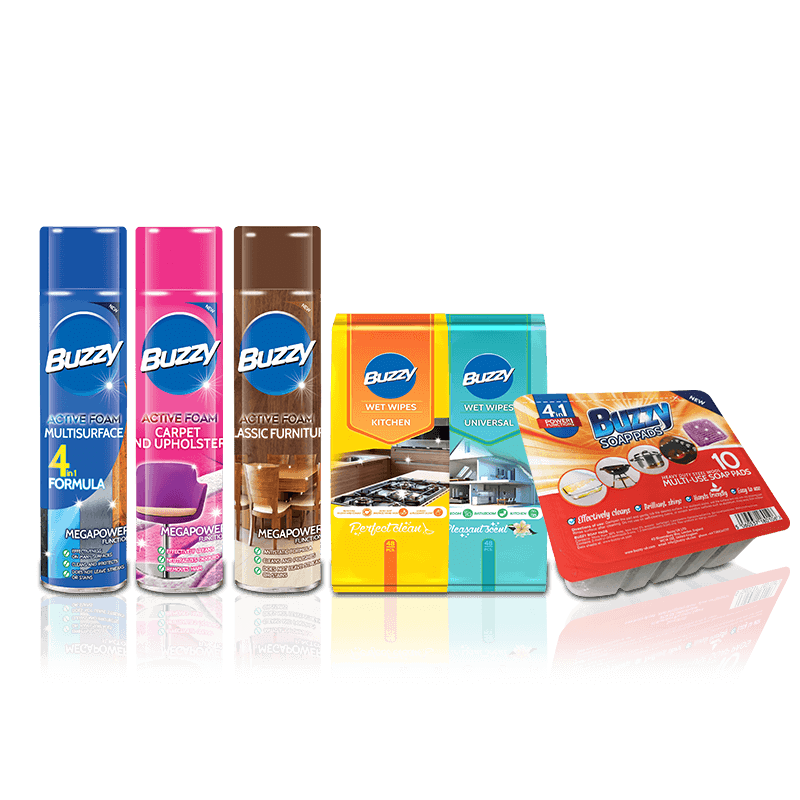 Firma Europe Distribution Group Ltd. is an authorized distributor of Buzzy products. We are both wholesaler and exporter of products manufactured by this company. Firstly, the Buzzy brand means high quality that you can rely on. Buzzy is an innovative composition that makes cleaning products efficient in every situation and effectively facilitate daily cleaning. Innovative formula of the products ensures their effectiveness in the fight against the most stubborn stains. Efficiency – for example Buzzy Powder 6.16 kg is enough for even 112 washes. The convenience of use – not only in terms of packaging, but also the method of use or concentration. Buzzy cleaning products are environmentally friendly. includes high quality detergents and cleaning products.